Sieda Wapello County Resource Center holds two Christmas Programs every year. With help from the community, we have the senior program Silver Bells. 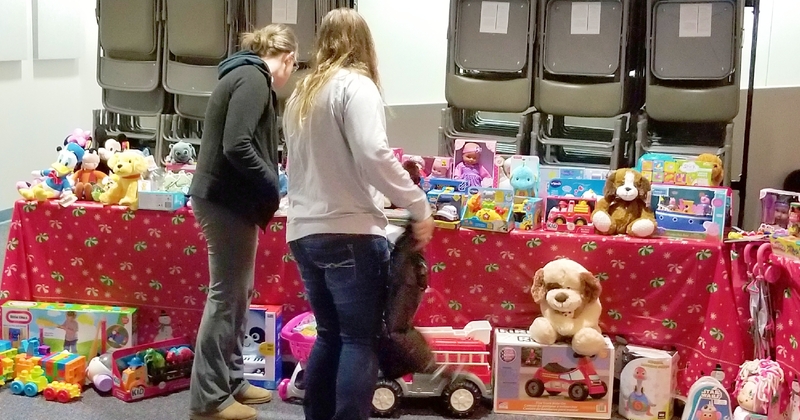 Additionally, for the under 18, we have the Wapello County Children’s Christmas with the Ottumwa Fire Department Sparky Claus. Why do we do what we do? 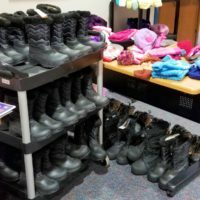 In the year 2017, 24.4% of Wapello County lived below 125% of the poverty level. Many of our programs can assist higher levels, for example, LIHEAP (heating assistance) can help those at 175% and below. Of those living below 125% level, almost 33% are younger than 18 and close to 17% are over 65 years-old. 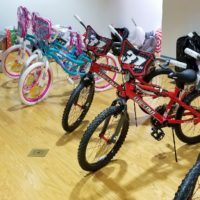 As a united community, we were able to help the young and seniors have something to look forward to during Christmas. Firstly, the 2018 Silver Bells program had a total of 215 homes with 246 seniors. All homes received an orange bag of food and every person a purple bag of gift items. 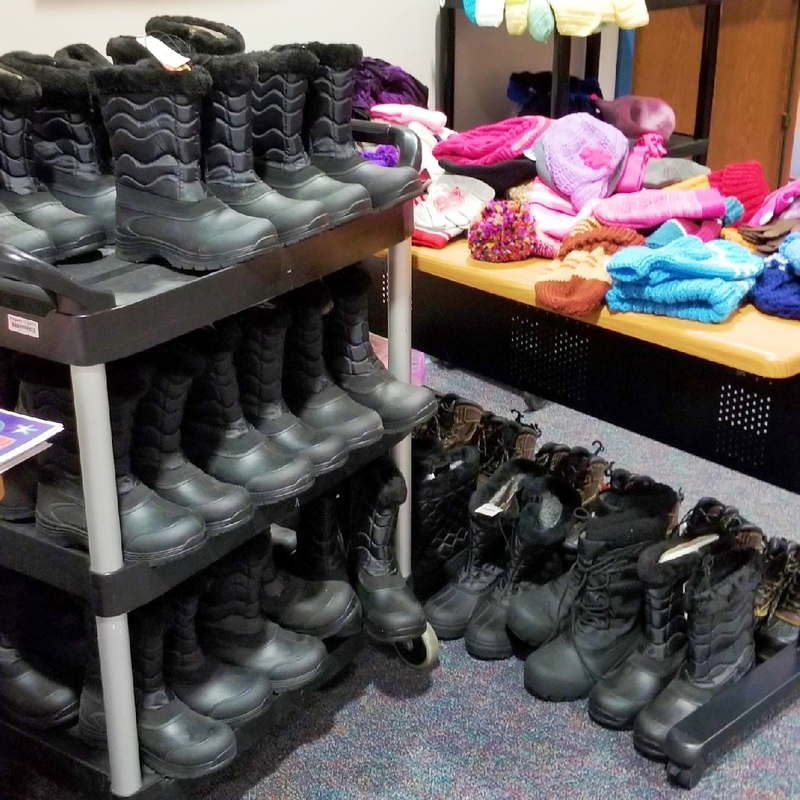 Thanks to several groups and business’s donations, and the First United Methodist Church. Alone Sieda’s gift of food and a bag would not have been as amazing as the combined outcome. 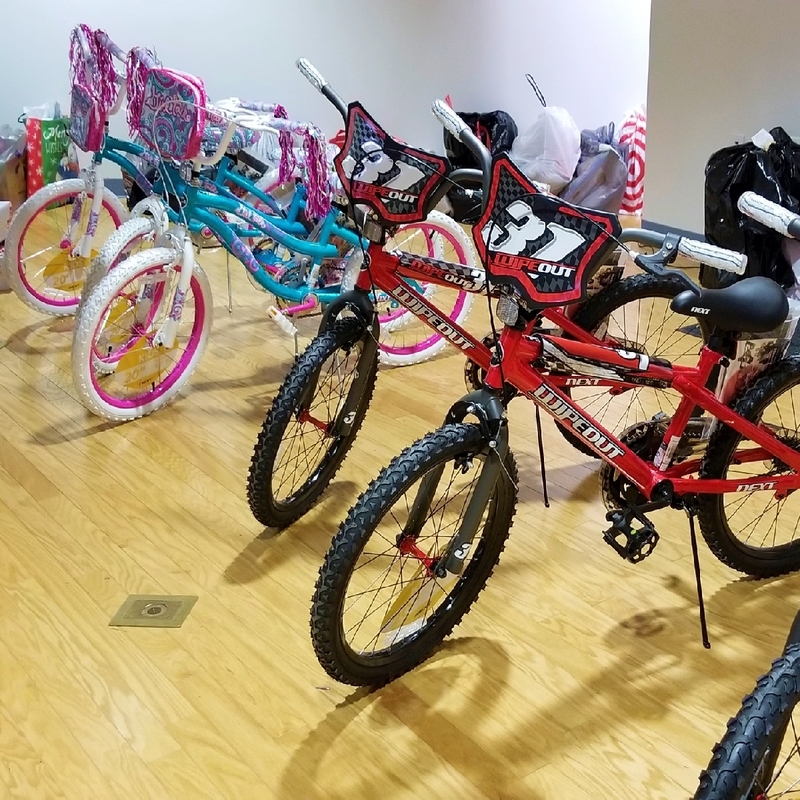 Click to see more about Silver Bells (Sieda’s 2018 Silver Bells Program). 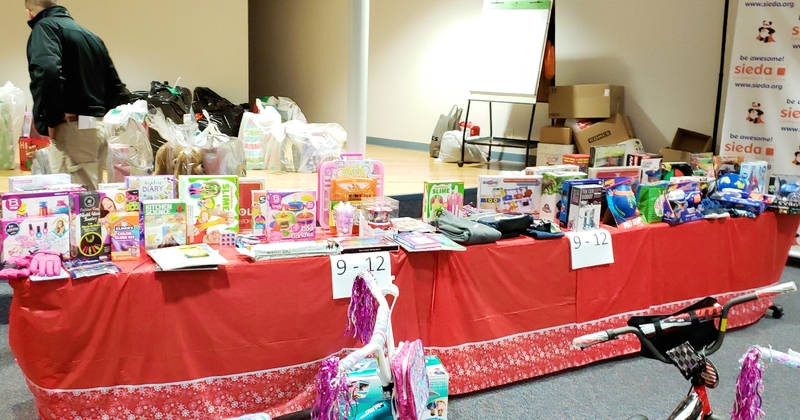 Secondly, the Children’s Christmas Program 300 households with a total of 732 children were adopted or given a chance to choose items on Sieda Resource Center shopping day. 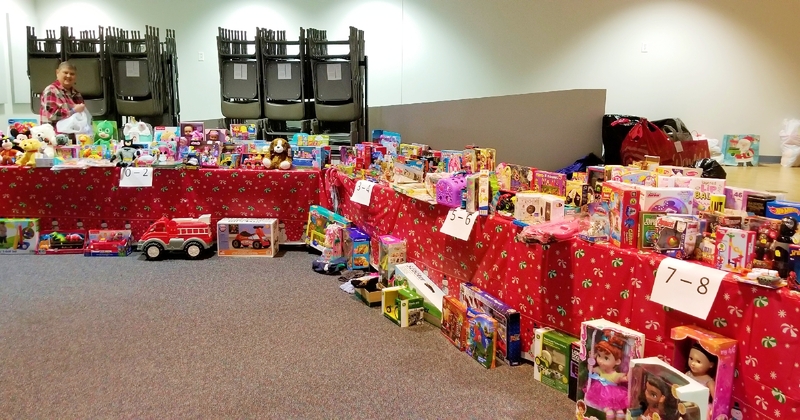 This program wouldn’t be a huge success without the Ottumwa Fire Department’s Sparky Claus and many in the community donating and adopting. 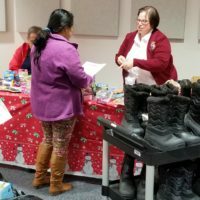 We could not reach as many alone so many without everyone’s support and generosity. 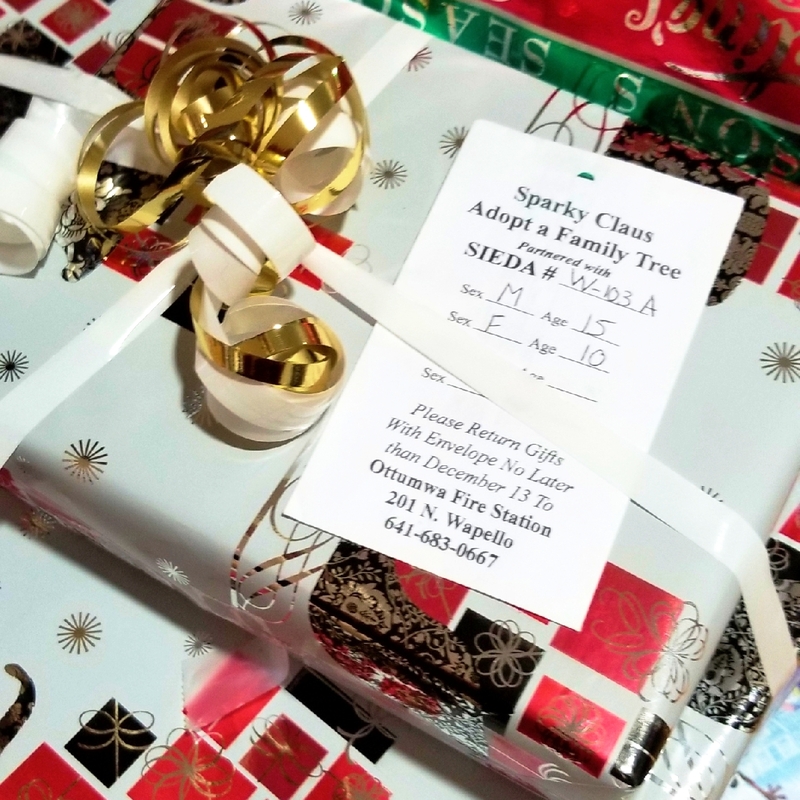 As a result of adoptions, 281 children received gifts either from the Pella Corporation, Sparky Claus Trees or Sieda. 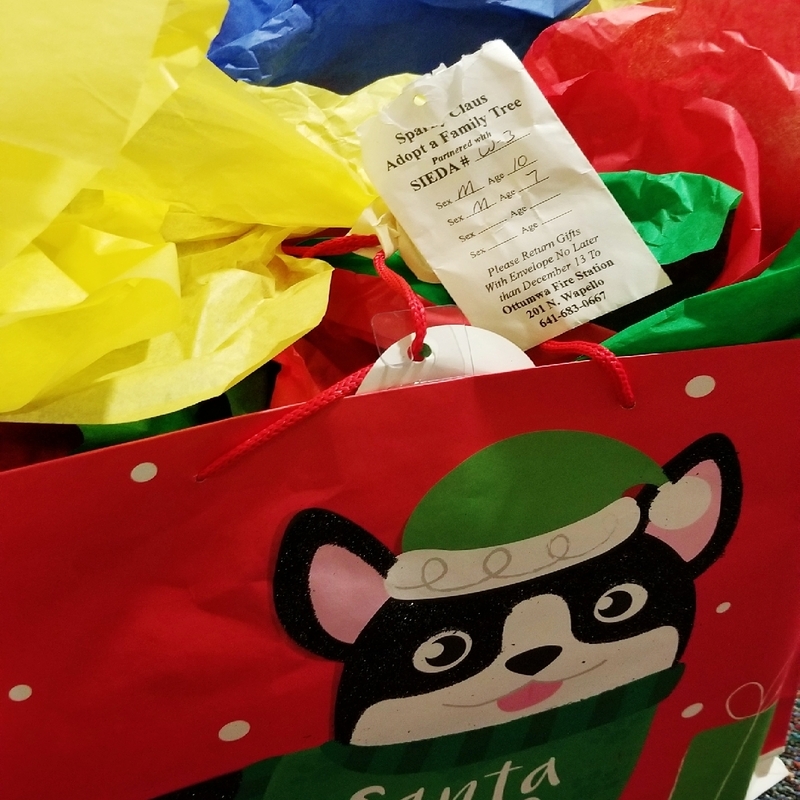 The 129 Families adopted are called to pick up their children’s presents. 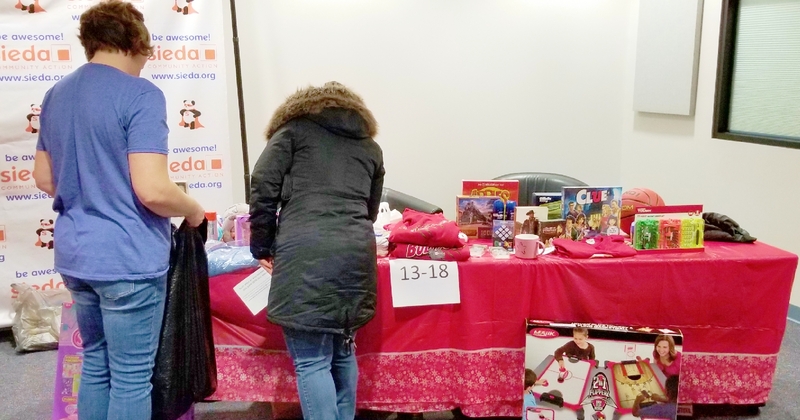 While the 171 families not adopted have an adult come and choose from toys, clothing, and items for their children. 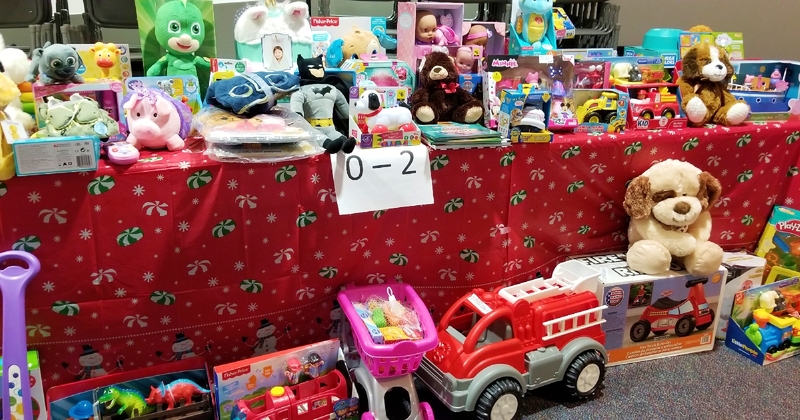 Due to donations and Ottumwa Fire Department shopping, there were enough toys for the remaining 451 children to receive gifts. 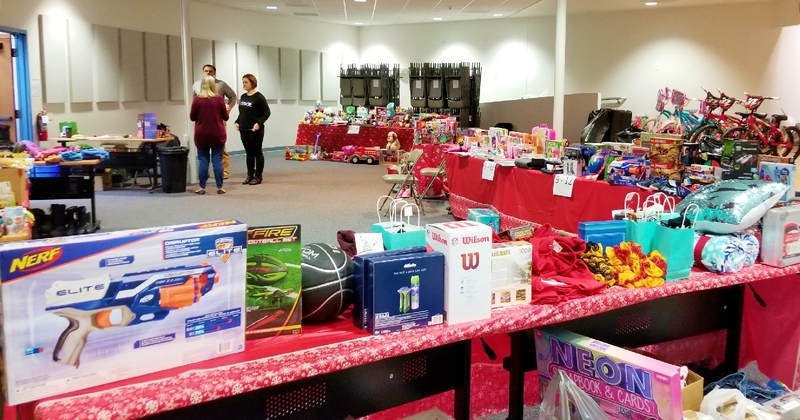 Your efforts helped make a very happy holiday for the low-income families in Wapello!